How do you debug MySQL stored procedures and functions? It's not a secret that debugging stored procedures is a nightmare without a good tool. dbForge Studio provides a debugger for MySQL that will solve all your problems related to debugging process. Debugger for MySQL offers a step-by-step code execution, breakpoints, watches, a call stack, a variable evaluation mechanism to automate debugging of MySQL stored functions and procedures. Available in a free 30-day dbForge Studio trial! 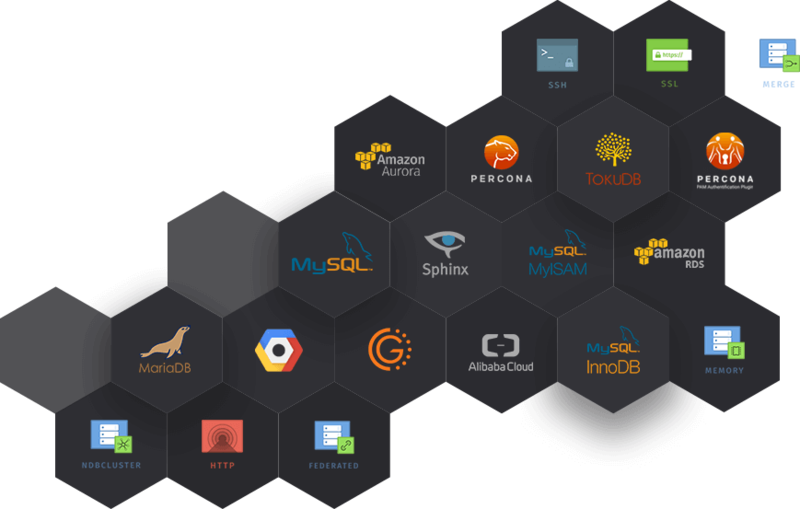 We are proud to be the first in delivering a fully-functional debugger for MySQL stored routines that is based on in-house innovative technology. MySQL debugger has become a boon for many database developers. You can freely debug procedures, functions, and even triggers. Debugging complicated database deployment scripts becomes a snap. Debugger for MySQL removes manual scripting of trace messages. Why is it important? As MySQL server does not provide any integrated debugging tool, you have to debug manually. However, manual debugging mostly affects an original execution process and even the procedures logic. So instead of fixing the errors, you double them and get spoiled procedures. Debugger for MySQL, provided in dbForge Studio, knows how to escape this. 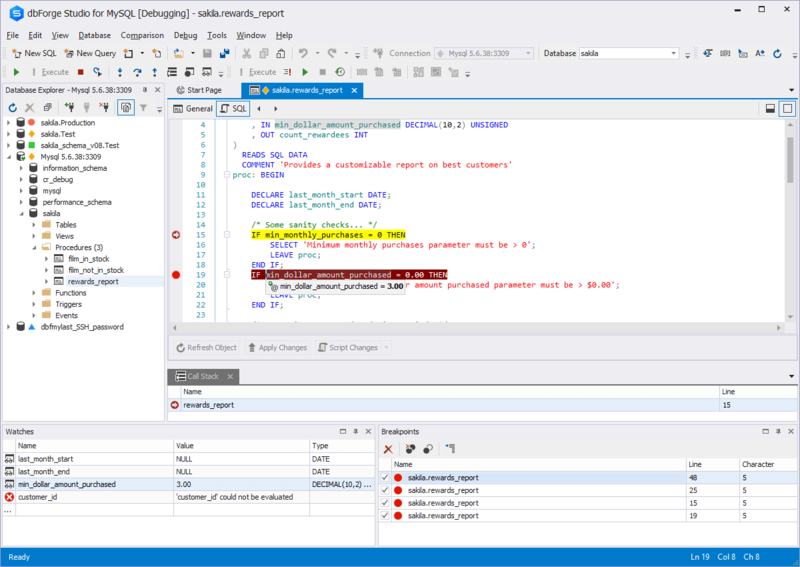 Debugger for MySQL, provided in dbForge Studio, has a convenient debugger interface on a level with the modern software development tools like Microsoft Visual Studio. Working in a familiar environment with convenient features makes debugging stored routines and functions no other than an easy task. Read Debugging MySQL Stored Routines article to learn how to efficiently use the debugger for MySQL.